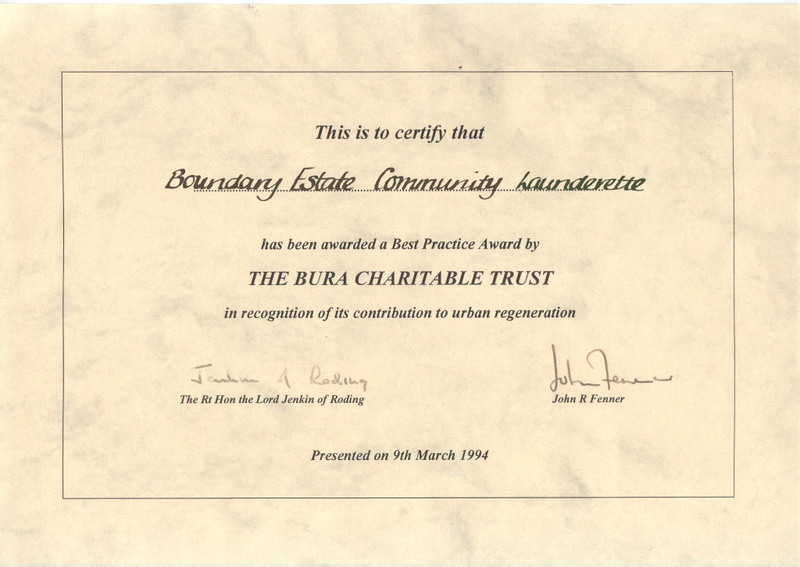 in recognition of our ‘bringing a sense of community’ to the Boundary Estate. Sunday Express Report, March 1994. 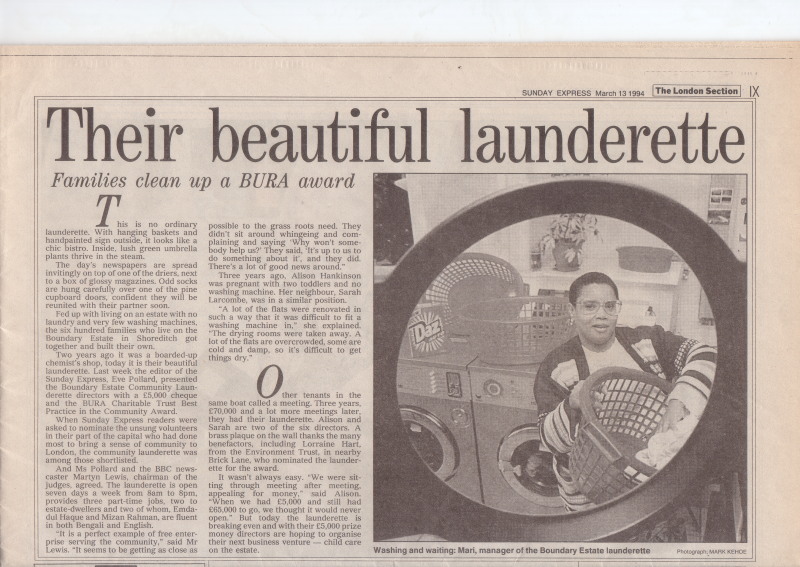 As sponsors of BURA the Sunday Express followed up our win with a report on the launderette.